Bellew, [Harold] Kyrle (1855-1911) British-born actor. Son of a popular preacher and public reader, Bellew served in the Royal Navy and merchant marine. He emigrated to Australian in 1870 to become a gold miner, but abandoned this in 1874, for the stage. His English debut was in Brighton on August 30, 1875. 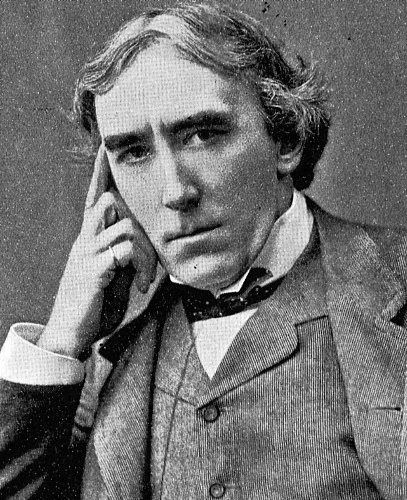 Subsequently, he acted with the Bancrofts and with Henry Irving. 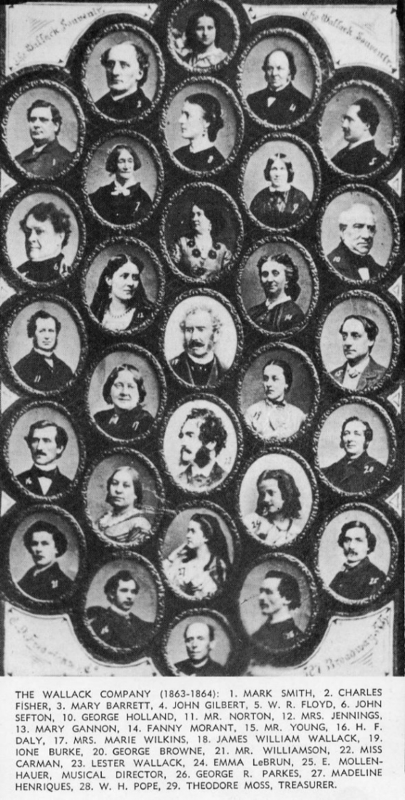 He came to America in 1855 and made his debut with Wallack’s company as Hubert Hastings in In His Power. He continued with the company for two years, playing classic roles such as Captain Absolute and parts in popular melodramas of the day such as Lt. Kingsley in Harbour Lights and the title role in an adaptation of Tom Jones. For several years in the 1890’s he toured as leading man to Mrs. J. Brown-Potter, a rich woman determined to make her mark as an actress. Once again his assignments moved from contemporary parts to classics such as Antony and Romeo. He retired from the stage and spent several years in Australia, where he is reputed to have made a modest fortune. 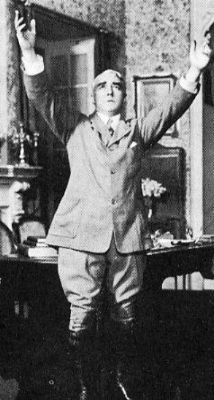 In 1901, he returned to America and the stage to assume the title role in a swashbuckler, A Gentleman of France, playing opposite Eleanor Robson. The next year he portrayed Charles Surface in The School for Scandal. 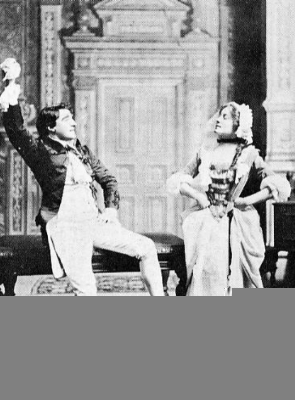 In 1903, he again was partnered with Miss Robson, performing Romeo to her Juliet. After that production closed he scored a major success in the tile role of Raffles. His Chevalier de Vaudrey was praised in an all-star revival of The Two Orphans (1904). 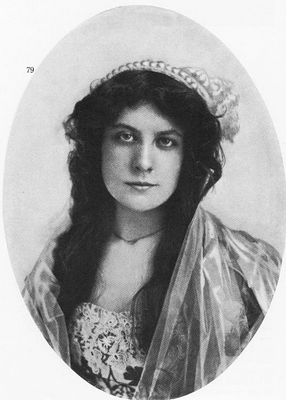 Miss Robson was Kate Hardcastle to his Marlow in a 1905 mounting of She Stoop to Conquer. His greatest success came as Richard Voysin in Henri Bernstein’s The Thief (1907). His last two performances were in failures, The Builder of Bridges (1909) and The Scandal (1910). Noted for his graceful bearing and beautiful voice, he excelled in polite comedy. 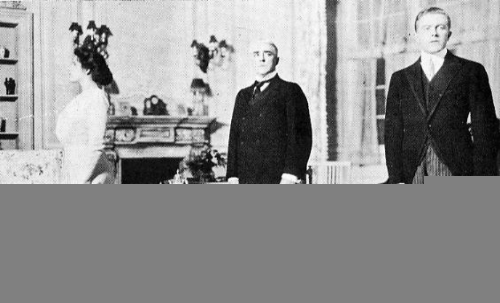 His pictures suggest that in after-years he bore a resemblance to the later President, Warren G. Harding. Joe’s one appearance with Kyrle Bellew came in 1887, an extraordinary year in young Haworth’s burgeoning career. In January he performed Hoodman Blind at New York’s Grand Opera House and then toured the play nationally throughout the spring. In August, September and October, he toured in Rosedale under the direction of the play’s author and original star Lester Wallack. Returning to New York in November, he was added to the cast of Mrs. Potter’s recent London success Loyal Love. 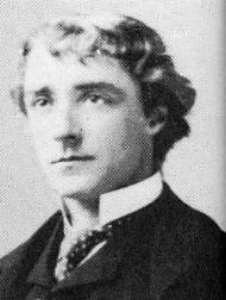 When Loyal Love closed, Joseph Haworth moved right on to a co-starring engagement in Romeo and Juliet, Twelfth Night, and Ingomar opposite Julia Marlowe at the Star Theatre. Remarkably, he then closed the year at the Standard Theatre with a great commercial success in Steele Mackaye’s Paul Kauvar.